Previously on the Scotch Code Challenge, we have solved challenges involving String, Object and Array Manipulation with functional programming patterns. How about we touch up the script in ES6! 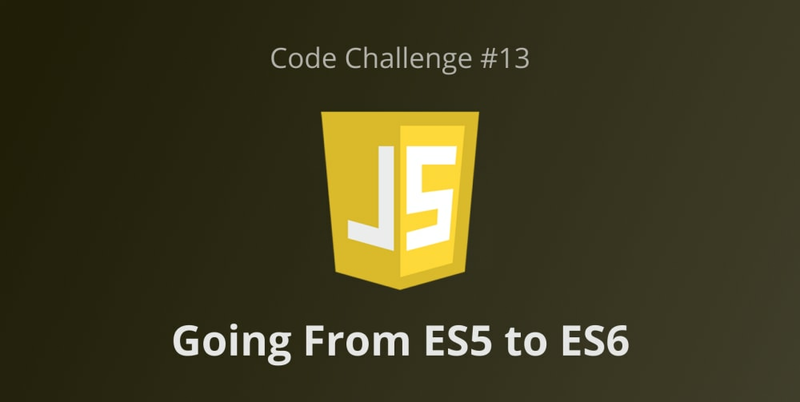 This week on the Code Challenge we will convert ES5 code to even better and shorter code using ES6 Syntax. Five challenges are listed in the boilerplate codepen which requires a re-write of the ES5 code already written. The requirement is simple, re-write the code using ES6 syntax. Also, each function declared should pass when called. Utilize fewer lines in writing clean code. Post in on Twitter using the hashtag #ScotchChallenge and we&apos;ll be sure to see it! Improve your writing skills by writing a blog post about it and we&apos;ll feature it in our community posts! Post your completed challenge in the comment section of this post. Join the chatter on Spectrum and showcase your submission! Also, complete this challenge to get 5 entries to the Scotch Launch Giveaway, let&apos;s celebrate the brand new Scotch v8 launch together! The solution to this challenge will be posted on Monday! Happy coding!